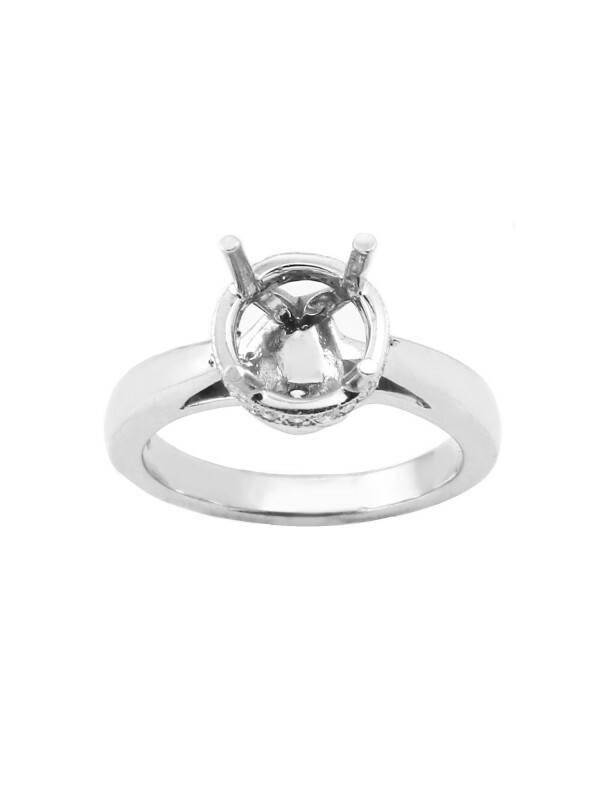 You are viewing a Women's Diamond Engagement Ring Mounting in 14K white gold, size 6.75. 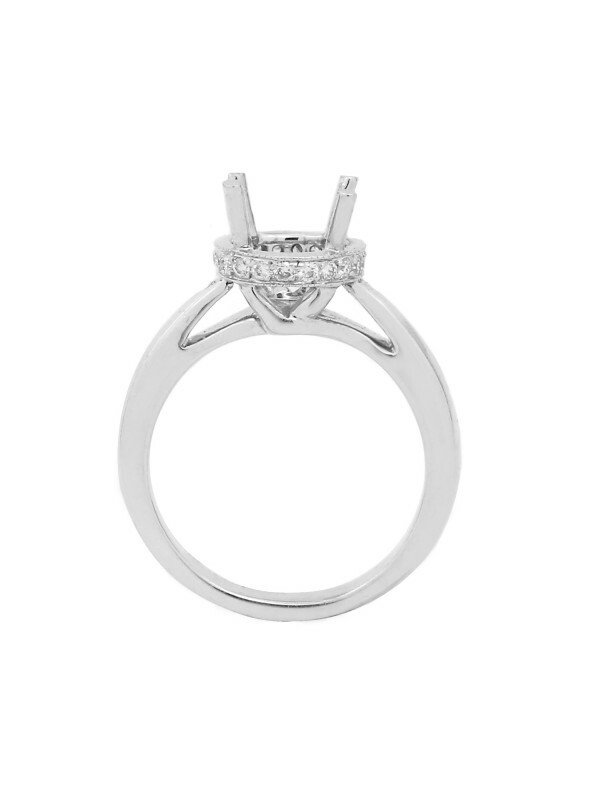 This ring features 20 Round Brilliant Cut Diamonds that are pave set around the halo. This mounting will accept a variation of diamond cuts including Round Brilliant Cut, Princess Cut, Cushion Cut, and Ascher Cut.